This week, I’ve got two projects in the works. One has lain claim to my brain, yet I am unable to manifest my vision. Don’t you just hate when that happens? The other is coming together smoothly, seemingly creating itself. I am in the zone and it feels good! To celebrate that awesome feeling, I thought I’d share a bit about the project, straight from my desktop. Closing in fast, is the deadline for the local Recycled Art Show, appropriately held in celebration of Earth Day. The guidelines ask for works comprised of a minimum of ninety percent recycled material. Trash Bubbles were made for this show! 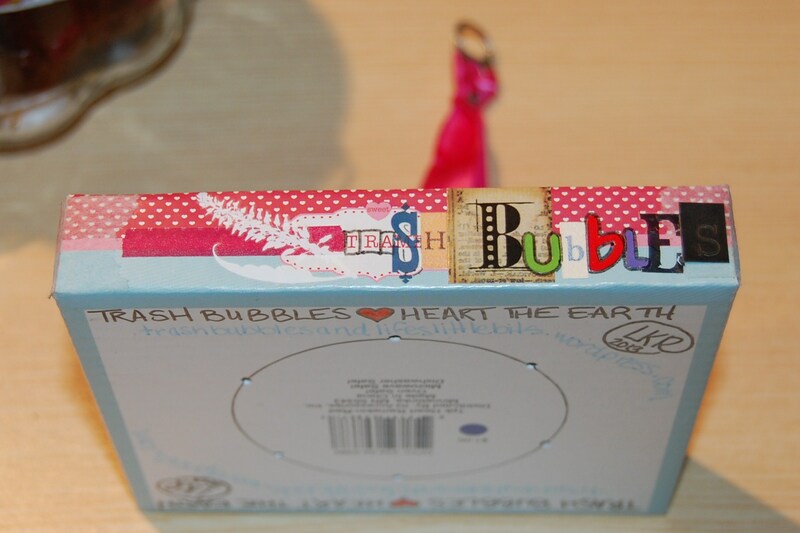 Trash Bubbles Heart the Earth mobile, rooted in my love for trashy bits, uses Trash Bubbles to create a message of Earth Caring. First, I designed the platform from which to hang the six Trash Bubbles. I used a unique package base from a heart-shaped ramekin I’d purchased. Manipulating the printing, I used some of the original lettering mixed with alphabet stickers and rub-ons to comprise the title of the piece. The corners were reinforced with paper bandage tape. 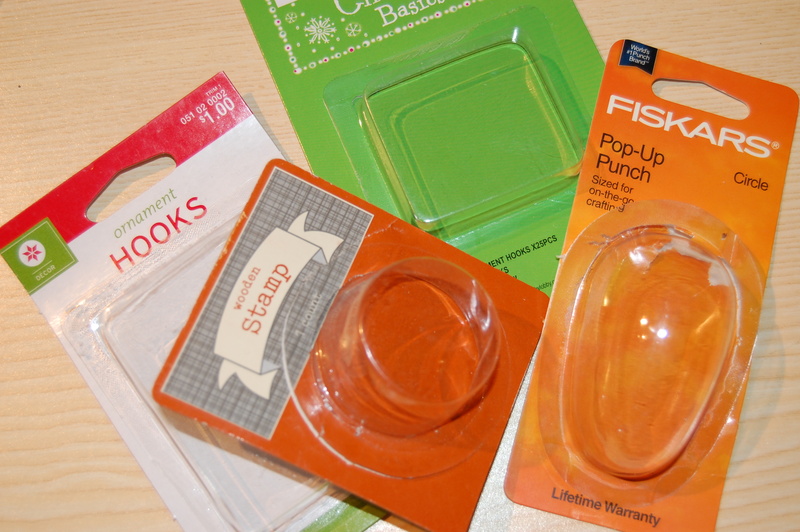 A pop tab and the ribbon off a shopping bag made for an easy hanger, threaded through holes and tied off. Each of the six Trash Bubbles will hang from the bottom in a circular fashion in ascending lengths. Two Trash Bubble ecospheres for the mobile are under construction. The first gives the viewer a glimpse of a littered landscape against a grey/blue sky of sorts. 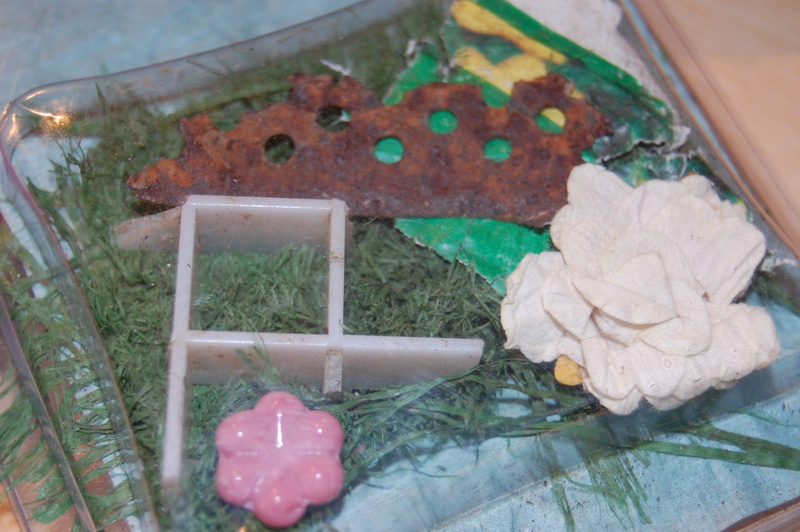 Each of the elements contained in this piece, including the weathered bit of outdoor carpet, were found littering the ground here and there along my travels. The second piece is reminiscent of my first few Trash Bubbles, made from the familiar paper bandage tape packaging I favor. 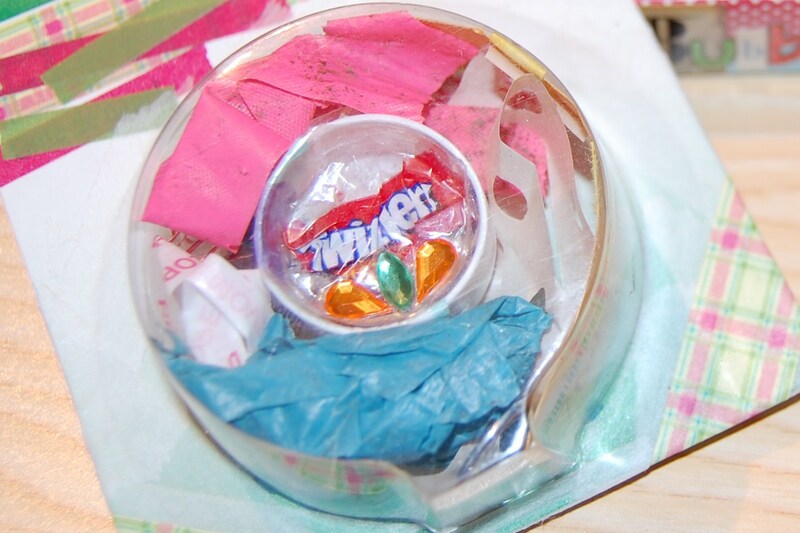 Although some of what is contained within this sphere are found bits, it also holds an equal amount of post consumer bits. These are things I save from the trash bin for their aesthetic value. A work in progress, these pieces require tweaking before they can be hung from their final resting place in the base of the mobile. Too, there are four more waiting to be created…. Guess what I’ll be doing over the next few days? This entry was posted in Trash Bubbles and tagged aesthetic value, art, art show, bubbles, collage, deadlines, earth caring, Earth Day, ecospheres, post consumer trash, recycled art, straight from my desktop, trash, trash bubble, Trash Bubble Mobile, Trash Bubbles Heart the Earth, Trash Bubbles!, trashy bits, work in progress by lkr1995. Bookmark the permalink. looking good! can’t wait to see when it’s finished.